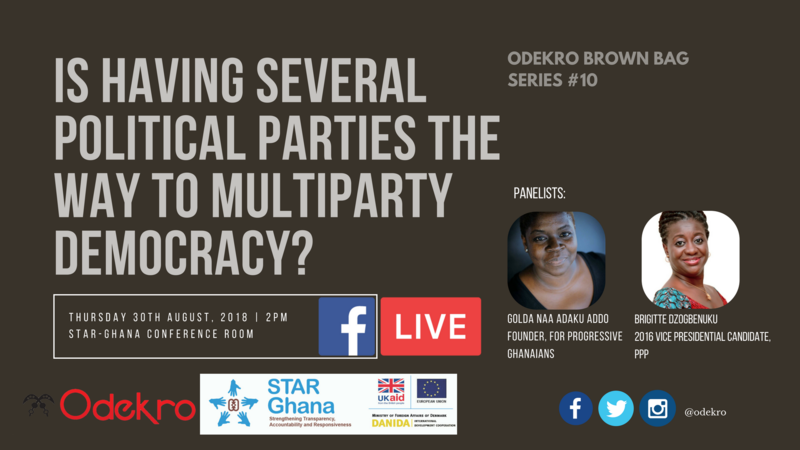 Is having several political parties the way to Multiparty Democracy? 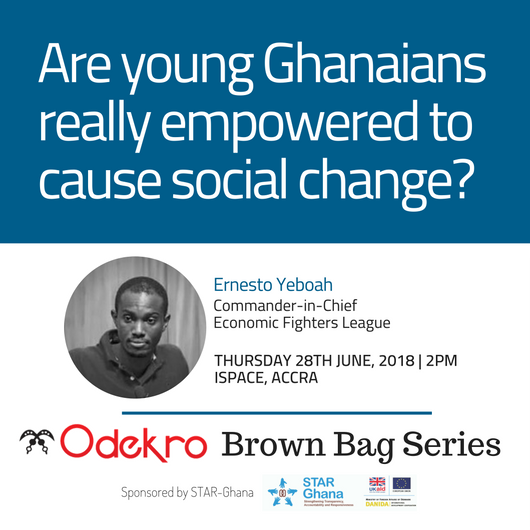 Are young Ghanaians really empowered to cause social change? 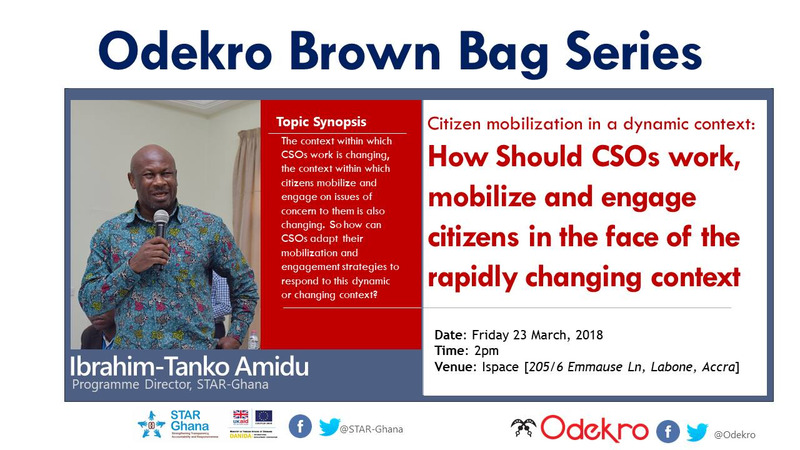 The context within which CSOs work is changing, the context within which citizens mobilize and engage on issues of concern to them is also changing. So how can CSOs adapt their mobilization and engagement strategies to respond to this dynamic or changing context? 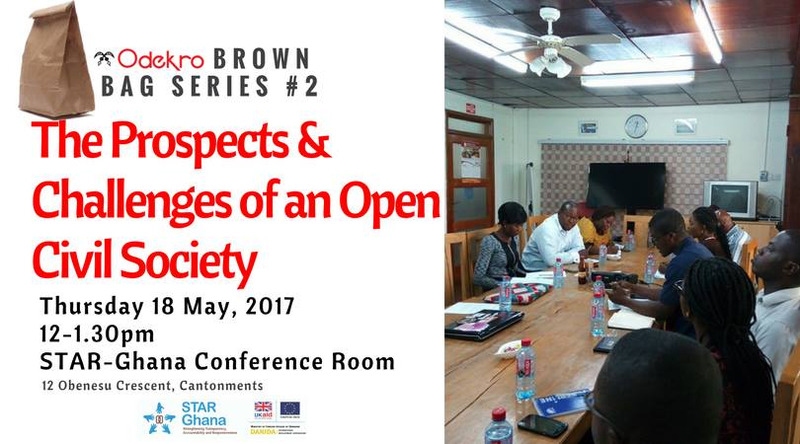 The Odekro Brown Bag Series comes off on Thursday, May 18th, 2017 at STAR-Ghana's Conference Room in Cantonments Accra. This month, we are discussing the theme: "The Prospects and Challenges of an Open Civil Society." 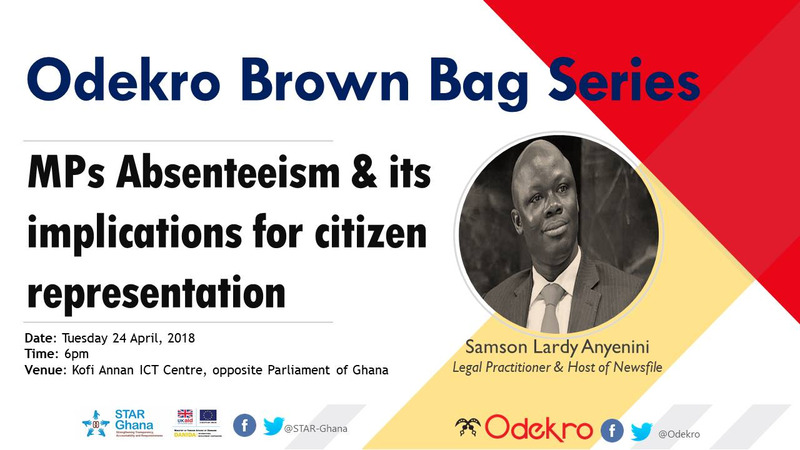 The Odekro Brown Bag Series is a learning platform designed to foster peer-learning among Civil Society Organisations, Academics, Researchers, Media, Parliament and Duty Bearers. The series seeks to harness insights from issues and topics discussed to improve interactions between citizens, state and governance institutions.